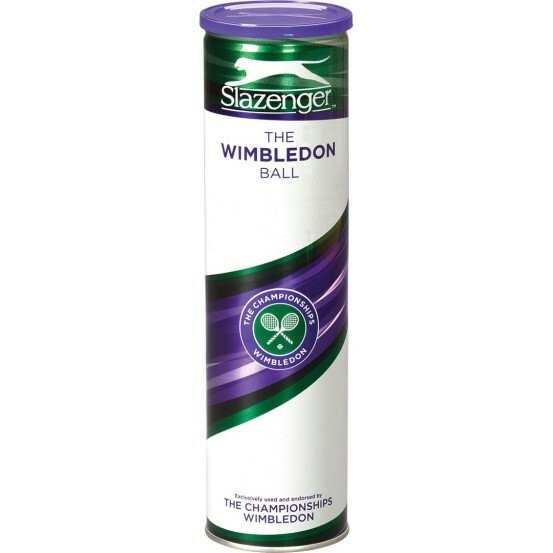 In 1902, at the request of the leading players at the time, Slazenger tennis balls were first used at Wimbledon being used being used at the event. Slazenger’s team of experts work alongside the top sports scientists at Loughborough University to guarantee The All England Lawn Tennis Club’s high standards are adhered to. Some 54,000 stamped Slazenger balls are ordered for the two-week Championships with almost 2,000 used every day, each of which will be tested for weight, bounce and compression. 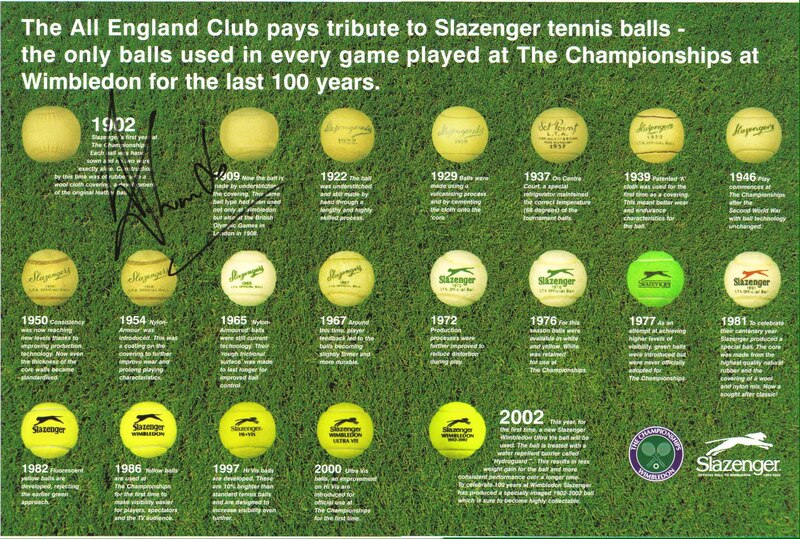 Slazenger has reinforced its reputation in the tennis field with its dedication to cutting edge product design, commitment to youth development and endorsements of top international players such as Tim Henman. Wimbledom, the world’s most prestigious tournament. Today, The Tour Core balls have been engineered to deliver the consistent performance characteristics demanded to Wimbledom, the world’s most prestigious tournament. The Wimbledon ball uses an exclusive Ultra Vis dye and patented application process, creating a ball that has optimum visibility for players and spectators. Using our patented Hydroguard technology, we have developed a cloth that repels up to 70% more water than a standard ball. The Wimbledon Ball remains the ultimate performance tennis ball. Despite its long history Slazenger today shows no signs of slowing down. The brand has gone truly global and the Company are continuing its commitment to investment from grass roots to professional level across a wide range of sports and leisure activities.